CMOs are expanding opportunities while shrinking their budgets. Therefore, marketers are looking for multichannel/multi-platform tools that once created can be used on a variety of platforms without having to be re-programmed, re-formatted, re-developed, or re-created for different types of hardware. 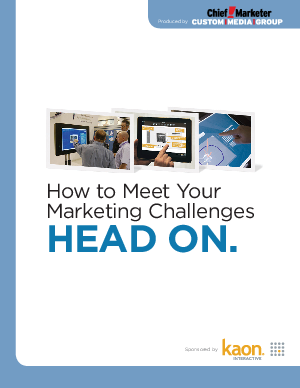 Learn how interactive products can be utilized across all channels, while saving money.